Normally we wait six months before returning to a particular source, but this article at Parking Space 23 grabbed our attention a few days ago. The author is William Barrick. Why Do We Observe the Lord’s Supper? God appointed two ordinances to the church: believer’s baptism and the Lord’s Supper (also called the Lord’s Table and Communion). Baptism consists of the declaration of one’s salvation, of being “in Christ Jesus” by faith. the Lord’s Supper is our brotherward obedience. It requires Christ’s incarnation: “My body . . . My blood” (Matthew 26:26–29 ). It demands Christ’s substitutionary sacrifice: “for you” (Luke 22:19 ). It indicates Christ’s inauguration of the New Covenant: “the new covenant in My blood” (Luke 22:20 ). 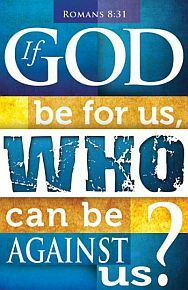 It identifies the believer as united to the body of Christ, the Church: “we who are many are one body, for we all partake of the one bread” (1 Corinthians 10:16–17 ). It demands that we live for one another: “wait for one another” (1 Corinthians 11:17–22 , 33). The Lord’s Supper associates Christ’s future Kingdom with His institution of this ordinance and the church’s observance. At the conclusion of 1 Corinthians 11:23 – 26 , Paul reminds us that by our observance of the Lord’s Table we “proclaim the Lord’s death until He comes.” Jesus is coming again! Jesus referred to the Kingdom of Christ being on the earth “in My Father’s kingdom” (Matthew 26:29 ; see Luke 22:18 ). When He comes, He will bring the kingdom of His Father with Him (Luke 19:11–15 ). And, that future Kingdom is associated with the coming resurrection and glorification of believers: “until the day when I drink it new with you in My Father’s kingdom” (Matthew 26:29 ). When He comes, we will have fellowship with Him. The focus of the Lord’s Supper rests on our Savior: “do this in remembrance of Me” (1 Corinthians 11:24 ). The Lord’s Supper testifies to the fulfillment of prophetic revelation and to divine faithfulness with regard to our future: “the Son of Man is going as it has been determined” (Luke 22:22 ). The Lord’s Supper declares divine grace and mercy in the forgiveness of our sins: “for many for forgiveness of sins” (Matthew 26:28 ). The Lord’s Supper speaks of the future glory of the Kingdom as our hope (see the discussion of the Kingdom relationship above). The Lord’s Supper emphasizes our union with the body of Christ, the Church (1 Corinthians 10:16–17 ). The Lord’s Supper presents the full redemptive work of Christ—past, present, and future. The observance of this ordinance provides a mini-catechism regarding our salvation in Christ and His work. The Lord’s Supper calls us to live in unity with one another and to exercise our spiritual gifts for one another—note how closely the instruction in spiritual gifts comes (1 Corinthians 12–14) after the section concerning the Lord’s Supper. The Lord’s supper is a recurring theme here. Click one of the tags associated with this post to read more. Communion should be a powerful reminder, not just of what Christ has done but of that which he continues to do in the believer’s life. It is well understood that the body of Christ was broken for mankind; the significance of eating the bread and drinking the wine is less well appreciated. Christ said, “I tell you the truth, unless you eat the flesh of the Son of Man and drink his blood, you have no life in you.” (Jn 6:53 NIV) Although some do not connect this revelation to communion its linking seems obvious. The Lord has made it clear that unless the eating of his flesh and the drinking of his blood is done, a person has no life. Communion is not only a command of Christ; it should be a potent reminder of the Lord’s ongoing ministry for the believer and of each person’s need. It is not so much obedience to the command that God requires as it is a reminder to continuously eat and drink of the Lord. Luke has recorded the Lord’s Passover celebration: “And he took the bread, gave thanks and broke it and gave it to them, saying, “This is my body given for you; do this in remembrance of me. In the same way, after the supper he took the cup, saying, “This cup is the new covenant in [because of, through] my blood, which was poured out for you.” (Lk 22:19-20 NIV) The new covenant, a covenant of the Spirit, was made available through the blood of Christ (Heb 9:15) and is only accomplished through the willingness of the believer to be led by the Spirit. The Bible also states that Ezekiel was given a scroll and was told to eat. “Then he said to me, ‘Son of man, eat this scroll I am giving you and fill your stomach with it.’ So I ate it and it tasted as sweet as honey in my mouth.” (Eze 3:4 NIV) The apostle John was also given a little scroll and was told to eat it (Rev 10:9), after which he was told to prophesy again. The scrolls contained the words of God and these servants were told to eat them. The bread not only represents the Lord’s death, the significance of communion also rests in the understanding that the bread is God’s Word which must be taken in daily. Bread needs to be chewed, to be digested, in order to be made useful; it cannot be swallowed whole. Likewise, the Word needs to be “chewed” and digested. Eating the bread is a different issue than breaking it. The eating is a reminder that Christ is in the believer and that his Word must also be within them. The living Spirit provided through the Lord’s blood is necessary if the believer is to gain victory over sin and to be conformed to the likeness of God’s Son. Christ in the believer is his hope of glory (Col 1:27) and the means of glorifying him. The acts of eating the bread and of drinking the wine will not clearly portray meaning to the believer until their significance is commemorated. Neither will the fullness of the Lord’s ministry and of the believer’s need be remembered until proper celebration takes place. How great is God! There is no good thing in us. But, with Christ in us what great things can be accomplished. What “good” is possible! The fullness of His ministry must be commemorated! This must be remembered regularly. 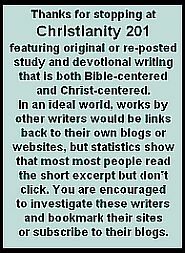 Today we return to the website GreatBibleTeaching.com to look at a subject on which people might see it differently depending on their interpretation or their tradition. It’s a longer article today, but the author’s points are easy to follow. You can copy/paste the references into BibleGatway.com to read the texts in your preferred translation. Click the title below to read at source. Wherefore whosoever shall eat this bread, and drink this cup of the Lord, unworthily, shall be guilty of the body and blood of the Lord. But let a man examine himself, and so let him eat of that bread, and drink of that cup. For he that eateth and drinketh unworthily, eateth and drinketh damnation to himself, not discerning the Lord’s body. For this cause many are weak and sickly among you, and many sleep. For if we would judge ourselves, we should not be judged. But when we are judged, we are chastened of the Lord, that we should not be condemned with the world. At face value, it appears they are right, doesn’t it? It is important to remember that just because the Bible says something, does not mean that the way we interpret it is correct. What was Paul talking about then? When ye come together therefore into one place, this is not to eat the Lord’s supper. For in eating every one taketh before other his own supper: and one is hungry, and another is drunken. What? have ye not houses to eat and to drink in? or despise ye the church of God, and shame them that have not? What shall I say to you? shall I praise you in this? I praise you not. For I have received of the Lord that which also I delivered unto you, That the Lord Jesus the same night in which he was betrayed took bread: And when he had given thanks, he brake it, and said, Take, eat: this is my body, which is broken for you: this do in remembrance of me. After the same manner also he took the cup, when he had supped, saying, This cup is the new testament in my blood: this do ye, as oft as ye drink it, in remembrance of me. For as often as ye eat this bread, and drink this cup, ye do shew the Lord’s death till he come. Wherefore whosoever shall eat this bread, and drink this cup of the Lord, unworthily, shall be guilty of the body and blood of the Lord. But let a man examine himself, and so let him eat of that bread, and drink of that cup. For he that eateth and drinketh unworthily, eateth and drinketh damnation to himself, not discerning the Lord’s body. For this cause many are weak and sickly among you, and many sleep. For if we would judge ourselves, we should not be judged. But when we are judged, we are chastened of the Lord, that we should not be condemned with the world. Wherefore, my brethren, when ye come together to eat, tarry one for another. And if any man hunger, let him eat at home; that ye come not together unto condemnation. And the rest will I set in order when I come. First underlining above speaks of what was actually going on – they were eating and drinking the communion elements to satisfy their physical hunger! It was so bad that they were getting drunk on the wine! Are you kidding me?! Paul was outraged, asking them if they had not homes to eat and drink in. If you study your Bible, those Corinthians were quite a handful. Most of us today wouldn’t dare think of mocking of work of Christ by consuming the elements of communion in such an unworthy manner. Second underlining tells us why they fell under condemnation and drank judgment unto themselves – it was because they weren’t discerning the Lord’s body! Biblically speaking, that is the reason for the condemnation that they came under. It had nothing to do with their hearts not being right in some area of their life. Can it be any more clear what it was Paul was referring to in this passage? It’s written in black and white on the pages of God’s Word, but it’s up to us to choose whether we’re going to accept what the Bible really says, or if we’re going to hold on to a religious teaching because of our filters and preferences. You can continue to believe what you feel in your spirit, due to your religious tendencies, but I choose to believe what the Word of God is really telling us in this passage. There is a Roman Catholic tradition that one does not partake of The Lord’s Supper without having been to confession. The confessional booth was created for this particular purpose, and is often looked down at by non-Catholics as ‘one more thing the Roman church has added to the Christian faith.’ But while it institutionalizes something the Early Church would have seen take place more organically, it is part of the our mandate as we approach the Eucharist or Communion table. 27-28 Anyone who eats the bread or drinks the cup of the Master irreverently is like part of the crowd that jeered and spit on him at his death. Is that the kind of “remembrance” you want to be part of? Examine your motives, test your heart, come to this meal in holy awe. 29-32 If you give no thought (or worse, don’t care) about the broken body of the Master when you eat and drink, you’re running the risk of serious consequences. That’s why so many of you even now are listless and sick, and others have gone to an early grave. If we get this straight now, we won’t have to be straightened out later on. Better to be confronted by the Master now than to face a fiery confrontation later. The posture with which we come to Communion is a posture of confession. Unfortunately, this is not always emphasized in all of our churches, and while a few do provide a time of silence for such, many places of worship do not, and many who have more recently become part of our congregations don’t know this teaching. wishes that certain proud or arrogant people would fail, or just people with whom I don’t see eye-to-eye. Those are just a few that I thought of immediately. I’m sure there are more. You might be reading this and identifying, or maybe you’re further along in spiritual formation and now think I’m a terrible person! Either way, I come to God with some very small inkling of what my life must appear like before a capital ‘H’ Holy God. But today, instead of just saying, ‘I’m a mess,’ I found myself saying, ‘I am mess.’ (Take a minute to reflect on the difference.) I don’t just sin, but I am sin personified. Without God’s help, I am a picture of the human condition. I know some will read this and say, ‘Well that’s just the accuser of the brethren talking to you, don’t listen to it.’ But David said, ‘My sin is always present before me (Ps. 51:3). Both scripture and church liturgy are full of prayers of confession. But — and here the writers of scripture would add, ‘Thanks be to God’ — we don’t have to stay defined by and defining what it means to sinful and separated from God. We also have the assurance of pardon. If your life is a mess, or if you just feel like you are mess, the Father wants us to come to him. But this is not something we do once upon a time and then write the date in the front cover of our Bible and that’s it, we’re done. No God wants us to come to Him regularly and confess that we do wander from His best, and that we are a people in need of a Savior. True repentance is a sincere acknowledgement of sin, but yes, we will mess up again. Maybe in another area. But his assurance of pardon is always there, even as we come to him over and over and over and over again. This week we participated in a most unusual communion service. The elements — the bread and juice — were placed on a table in a self-serve style. Nothing unusual so far, right? But to get to them you had to walk behind a curtain, single file, one at a time. Suddenly, you were in there, all alone, just you and God. Others were waiting and they joked ahead of time that they’d ‘tie a rope to your feet and pull you out if you stay too long,’ but you had these brief seconds to enter into the ‘Holy of Holies’ and express to God in a whispered prayer whatever you would say to Him, or listen to whatever He would say to you. It’s a communion or Eucharist that I will never forget. That got me thinking about the broader aspects of making our experience(s) with God more individual. Maybe your pastor is amazing, but he will have to give his own account to God, and you will have to give yours. Today’s thoughts are from Nicole Vaughn at Proven Path Ministries. As always, you’re encouraged to click through to read at source, where a music video also awaits you. “What do you think ‘Communion’ was like at first, Matt? Perhaps you are one of those. 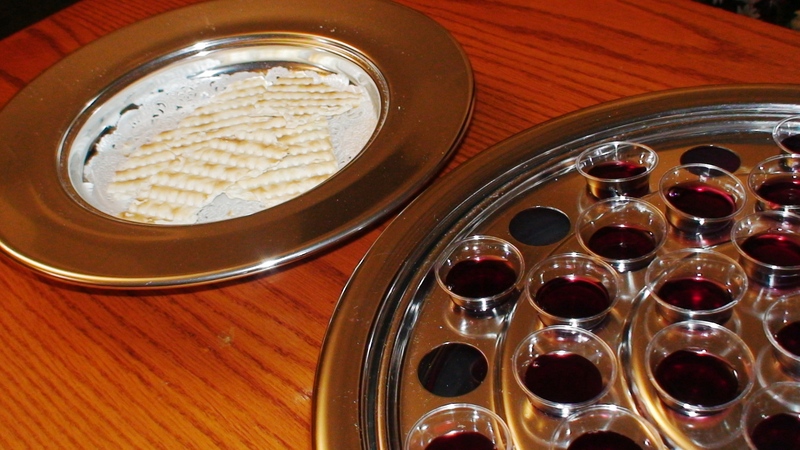 How much more special would communion be if instead of waiting on a piece of cracker and a taste of grape juice,while sitting nicely in our pews, we instead chose to sit around a table… with bread and maybe even wine… and we truly spent that time focusing on what our Savior did for us. Would you really have to worry about drunkenness if when you looked at that wine what you saw was Jesus blood shed for you, for your sins? Would you really over-indulge in the bread (or the wine) if when you looked at it you truly saw our Savior’s body broken for you, for your transgressions? and the blood of the Lord. What if instead of a Sunday potluck fellowship, when the church gathered together to partake in a meal it was simply the Passover meal, the bread and the wine? What if we gathered together and we simply remembered Him? What if we sat and talked about the day we met Him? What if we shared about how He had changed our lives? What if we shared how He has walked with us and carried us since we met Him? What if we purposely went into a joint Passover meal with a fellow church filled with a people of completely different background and ethnicity than ours and we united in Christ? What if Communion Sunday was not “church skip day”? What if instead of uniting to pick-it the abortion clinics, or uniting to fight legislation, or uniting to demand prayer in school, or what ever other political agenda we have at the moment, we united for the sake of simply remembering Him? What if we had a Call to Remember and every church in our community, our county, our state, our nation, the nations… what if we called all our individual local congregations to come together at the same day at the same hour for Communion, to simply remember Him. Nothing but a call to remember Jesus and to proclaim Him, His life, His death, His resurrection. How seriously do you take Communion? Is it just something you do or does the weight of it sink deep into your soul and lift your heart and eyes to His beautiful sacrifice for your ugly and deceitful heart? Is it a time for you to search the tray for the biggest cracker and the most full tiny cup while you whisper until you see everyone take their bite and drink their little cup and see your own cue, so you stop chatting with your neighbor long enough to absentmindedly pop in the cracker and throw back the juice and then complain about how dry those crackers were and you need some more drink to wash it down? I can ask all these questions because I have been there. I was doing a formality, a religious duty, pass the tray grab the cracker, get the cup… 1-2-3 eat… 1-2-3 drink, let’s sing and go get some real food. That’s never, ever, again the way I want to take Communion. Have you ever thought about that first Passover after the ascension of our Lord? Is there any way it could look and feel like the miniscule communion cracker and miniature communion cup that we purchase in bulk at our local christian supply store in order to make it as quick and easy as possible? The mantra that “we’ve always done it this way before” applies to more than just local church situations; it also applies to “church” as a whole. We who “do” church think we know how to do it, and that our version of it is consistent with how the capital-C Church has met together for 2000+ years. But as this post at the blog Not For Itching Ears reminds us, it ain’t necessarily so. Read what Jim Greer says here, and if you’re interested in knowing how this might play out in practical ways in a church that’s open to change, be sure to read a comment response from Jim. Here’s the link to the original post, titled: What Did a Church Service Consist of in 150 A.D.? In the movie “Back To The Future”, 17 year old, Marty McFly, lives a lousy life. His dad, George, a nerdy scaredy cat, and his mom, Lorraine, is an alcoholic, who met George through pity, when her dad hit George with a car. All he has ever known is this reality. The only thing that he can do for fun, is hang out with the local scientist, Dr. Emmit Brown (Doc) who has created a time machine. You know the story. Marty goes back in time and changes how his parents meet. In the process everything that was wrong with his life and family is dramatically changed for the good. What was a Christian worship service like in the early church? We have a very good description of a normal worship gathering in the writings of Justin Martyr. The following description was written around 160 AD, less than 70 years after the death John, the last apostle. This description is about one generation away from the actual writing of the New Testament. We, in the 21st century, are almost 2000 years farther away from the New Testament than they were. “On the day called Sunday there is a meeting of all believers who live in the town or the country, and the memoirs of the apostles, or the writings of the prophets, are read for as long as time will permit. When the reader has finished, the president in a sermon urges and invites the people to base their lives on these noble things. Then we all stand up and offer prayers. When our prayer is concluded, bread and wine and water are brought; and the president offers up prayers and thanksgiving to the best of his ability, and the people assent with Amen. Then follows the distribution of the things over which thanks have been offered, and the partaking of them by all, and the deacons take them to those who are absent. And those who are prosperous, and willing, give what each thinks fit; and what is collected is deposited with the president, who succors the orphans and widows and those who, through sickness or any other cause, are in want, and those who are in bonds and the strangers sojourning among us, and in a word takes care of all who are in need. 5) giving for the needy among the church. Now let us compare this with today’s modern service and see what the differences are, shall we? First we sing for a long time. Very little scripture is read. There are announcements. There is a sermon. A short prayer is usually offered somewhere by a leader. An offering is always taken, but it is to pay for the building expenses and all the staff, not for fellow believers in need. Then we sing some more. Of course, I am generalizing. But this does seem to be the pattern I have witnessed in the past two years of visiting different church fellowships. Do you notice what I notice? Communion held a remarkably high place in the early church. The local churches celebrated it every Sunday and it formed a big part of their service. You barely even find it in today’s church service. Singing, which for many modern believers is such an important element of corporate worship is not even mentioned here. We do know that the early church sang, but it was not such a big deal. In my view, it looks like we have replaced communion, prayer and the public reading of scripture with extended singing. Could this be one of the reasons the church has become so anemic? It is always difficult for people to see the fallacy of what they are doing when they are steeped in the middle of it. It is hard to ask ourselves the question “are we doing this thing right?” It is easier to just keep things the way they are. Marty McFly, couldn’t see what his life could be, because he was overwhelmed with how things “were”. Perhaps we can get in that Delorean and go back and makes things right. Who knows? I truly wasn’t planning to post the same content at C201 today as Thinking out Loud, especially since a few of you subscribe to both; but there’s a lot of substance to the book I reviewed, and it really belongs here as well. At what age should children first participate in The Lord’s Supper? The two children sitting next to me — a boy about six and a girl of four or five — were fidgeting during the entire service. They spent most of the sermon time drawing pictures and there was a mild shoulder punch fight that took place during one of the worship songs where I thought the mom was going to split the kids up by sitting between them, but apparently opted not to. When the communion elements were passed across our row, without hesitation the kids helped themselves. The mom definitely saw the kids each take a piece of bread and the small cup of juice, and wasn’t the least concerned. I grew up in a tradition where receiving The Lord’s Supper, partaking of Communion or Eucharist, or whatever name your faith family chooses to call it, was reserved for adults and those entering adulthood. I was eleven years old the first time. Anything younger, for me, would have been too young. So when Christian Focus Publishing offered me a chance to review Children and the Lord’s Supper, I had hoped this book would address the question in clear and unmistakable terms. I believe this topic is important as it bears on so many issues: church, doctrine, worship, parenting, the spiritual nurture of children, the Christian education of our youth. Make no mistake about it, this is an excellent book. If you want to cover this topic in great detail, I can think of no better resource, and I will be most grateful to have this paperback in my library for any time that this topic surfaces. However, for all that, there are reasons why I think this is the wrong book for the majority of readers here. First, this is a very academic reference work that would cause most of my friends to glaze over after the first dozen or so pages. The book is a collection of eight essays an introduction by editors Guy Waters and Ligon Duncan, which defines paedocommunion as “the admittance of a covenant child to the Lord’s Supper on the basis of his (sic) descent from at least one professing Christian parent.” (p. 11) Persons looking for a simple answer to the question, ‘Daddy, may I take communion?” — which is also the title of an existing book — would find 214 pages of answer to what they perceive as a simple ‘yes or no’ question; not unlike the uncle at the Christmas gathering who recites the entire workings of the internal combustion engine, when all you asked was a simple question as to the frequency of oil changes. Mind you, there are no simple answers here. More relevant is the Reformed perspective of the book. This book raises all the right issues, but does so in the context of a growing movement among some Reformed denominations to include younger children in the Lord’s Supper — some already do — to which there is apparently much consternation. We share the same scriptures of course, and everything presented in this volume is entirely relevant to all our churches, but one must first decide to get past the denominational perspective of the writers. In fairness, I should state that a couple of the writers do address the doctrinal understanding of the Lord’s Supper that is unique to the Roman Catholic mass, though this is done primarily for comparative purposes with the Presbyterian or Reformed view. And one writer views as inconsistent those Baptist groups which baptize children, but do not permit them access to the Communion table. Which brings us to the meat of the book. As it turns out, the issue of children of partaking of the communion elements is almost symptomatic to a deeper causal issue, namely our understanding of the relationship between the Lord’s Supper and Passover. This is the true focus on which many of the arguments — mentioned or alluded to — hinge. Certainly Jesus instituted this sacred meal in the context of a passover meal, but how strongly does the parallel run? Children are allowed to participate in the modern passover — though some doubts arise as to, for example, the first such meal in the years immediately following the Exodus — so why not permit children at our New Covenant equivalent? And some even argue that point, as to whether or not there is a tacit understanding that the youngest of children do not truly partake of the passover meal since they are too young to ask the questions (or you could say, be active in the liturgy) that is required of the youngest; even arguing the obvious point that the very youngest would be too young to chew food. More than one contributor suggests that in Passover, Jesus was instituting something that fulfills or completes the entire sacrificial system (p. 32). Several of the writers point out that the Westminster Catechism (part 177) requires that the children be old enough to examine themselves, alluding to the words of institution in I Cor. 11, something I would term, if I may, the presence of “spiritual sentience,” a term which, as long as we’re quoting Google, occurs elsewhere 283 times. This is probably another of the most compelling arguments in the discussion. Indeed, the book’s strongest premise is that we best remember the Lord’s death and atonement through the Lord’s Supper combined with active faith. (pp. 72-73) Having said that, my wife reminds me that Jesus talked about “the faith of a child;” and didn’t minimize or address that faith condescendingly. The book also considers the various warnings that the apostle issues addressing the situation of those who would be receiving the communion elements in an unworthy manner. …This is a book review, and book reviews are highly subjective. I said at the beginning that this is indeed an excellent book; while this might be of great interest to pastors and seminary students, it’s just not going to fulfill the expectations of the average browser in the average Christian book store, especially here in North America. But subjectively, my personal reward for studying this book was a deeper understanding of passover, admittedly not the book’s stated purpose. I am much richer for reading Children and the Lord’s Supper, but I am clearly not the typical Christian book consumer. Got young kids? May I suggest that as parents of young children you err on the side of caution. The children in the example I cited at the outset certainly had no sense of reverence for what was taking place, and may I suggest that by that lack of reverence they profaned the moment or occasion as it took place in their part of the auditorium. Two thousand years ago a man sat down with his friends and ate a meal. It could be argued that no meal has echoed down the centuries quite like this one. That meal is the Last Supper and this moment is remembered by churches around the world by eating bread and wine in memory of the man who first did it, Jesus. If you haven’t read the account of the Last Supper before, or would like a refresher, then you might like to turn to the gospel of Mark in the New Testament and have a read of chapter 14 verses 12 to 26. Theories about the Last Supper, and how we should practice our remembrance of it in the church today, are widespread and numerous. It seems there are as many opinions as there are grains of sand on the seashore! But perhaps there is more to draw from the accounts of the last supper than a simple set of rules of how we should or shouldn’t conduct our church services. Picture the scene: The tension is rising in this group of 12 friends. Their leader, friend and spiritual teacher Jesus has been confronted by the authorities many times. They are aware that Jerusalem is not a safe place for him to be yet he insists on going there to celebrate the Passover, an important festival in the Jewish calendar (see Exodus 12 for its origins). Two of the disciples head into the city early to prepare a space for the celebratory meal, the others follow. The meal starts off well. They sit back in their chairs, enjoy each others company and then suddenly the man who called this motley crew together changes the atmosphere. “One of you will betray me,” he says. The reaction of these friends and disciples of Jesus is fascinating. They immediately ask the question ‘Is it me?’ I think this, and Jesus’ response, says something big about us and God. The disciples loved Jesus, they had given up their homes and livelihoods to follow him and yet they still thought to themselves and said out loud, “Could it be me that betrays him?” I think we universally know this potential in ourselves. Words slip out of our mouths that we wish hadn’t. We make wrong choices out of anger, sadness and disappointment. We wish we could take things back, daily sometimes. But what is really interesting is Jesus’ response to this rag tag bunch, none of whom is confident that they are not his betrayer. Jesus sees their inability to be what even they want to be, to even know if it is they who would betray the one they love. Later that evening he tells them they will be scattered like sheep when he is taken from them, a prediction that comes true alarmingly quickly after this cosy meal among friends. It is with this full knowledge that Jesus performs these powerful symbols of what is to come, his death within days on the cross–An act to unite people ever falling short with God who desires to give them a fresh start as many times as they need it. Sometimes Christian life can feel like you are ever striving. Striving for a perfection that even you know you cannot reach. This story shows us that God knows full well our struggles and our inabilities. It is into this reality that he offers himself, going to die knowing that the closest people to him will run from him at the time he needs them most. And to this he says, I have the answer. The answer is me. NASB: Matt 6:7 “And when you are praying, do not use meaningless repetition as the Gentiles do, for they suppose that they will be heard for theirmany words. Actually, the above verse isn’t mentioned in the article that follows, but I wanted to mix things up a bit and give you something more to think about. This is from Thom Turner at the blog Everyday Liturgy. If you wish your worship leader wouldn’t do another circuit of each chorus, you might find this somewhat challenging. The original title was, Is Repetition Unholy? That is an American response. That is the response of a person who was raised on instant gratification. That is the response of a person who expects new, exciting forms of entertainment. That is the response of a person who values change over consistency. That is the response of a person who values feeling more than commitment. Most importantly, that is not a Christian response. The Christian response is that our spirituality and worship are everyday, every hour, every minute happenings. We are admonished to take communion each time we gather, to pray without ceasing, to pray in a certain way, to sing songs, confess sins, listen to the reading of Scripture, meditate, teach, learn. These are all things we repeat. Unceasingly. 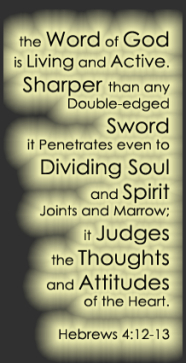 Repetition is not unholy. It is a deep, elongated experience that should make us into disciples. Repetition in worship is just like when you tell a family member you love them. Repetition in worship is just like when you take a drink of water. Repetition in worship is just like when you eat breakfast, lunch and dinner. Repetition in worship is just like when you go to sleep. Repetition in worship is just like when you go to work. Repetition in worship is just like when you turn on a light so that you can see clearly. Yes, I can readily admit that we can stumble into laziness or unfocused action in repetition, but that is not the fault of the spiritual practice, just as much as it is love’s fault when a spouse just mumbles the words “I love you” without any thought or care. We need to learn to embrace repetition in worship, the normalcy and comfort of sameness in worship, just like we accept this normalcy and comfort of routine in the rest of our lives. I repeat: we need to learn to embrace repetition in worship. And when we do, we will become aware of the slow and steady movement of the Spirit in every aspect of our life. When we do, we will become aware of how God is steadily working on our holiness: through repetition. But you already know that. Those words from I Cor. 11 are often the most-repeated words in most churches during the course of a church calendar year. “For I received from the Lord that which also I delivered unto you;” is somewhat how I think the KJV renders it. The section from verse 23 to approx. verse 30 forms what is called “The Words of Institution” for the communion service aka Lord’s Supper aka the Eucharist. Even if you attend a church where things are decidedly non-liturgical, these verses probably get read each time your church observes “the breaking of bread;” and even if your pastor leans toward the New Living Translation or The Message, it’s possible that he lapses into King James for this one. Why did Jesus institute this New Covenant, Second Testament version of the Passover meal? Because people tend to forget. Let’s look at the section we almost never read when we gather around the communion table, Luke 22. In verse 19 and 20 he tells them to remember. He tells them his life is about to be poured out for them. What a solemn moment. A holy moment. But unfortunately, a very brief moment. In verse 24, Luke makes it clear that he’s trying to capture an accurate picture of what happened that night. Even if it makes the disciples look bad. It’s the kind of stuff that you would never include in your report to Theophilus if you were merely trying to make Christianity look good. If you were writing propaganda. I’m serious. It’s that much out of place with what’s just happened. Jesus is telling them — trying to tell them — all that he is about to suffer in order that a plan laid out from before the foundations of the world will be fulfilled. And they’re arguing about who is Disciple of the Month. How could they go from one extreme to the other so quickly? In a matter of seconds? Easily. People tend to forget. Whether it’s what happened in New York City, Washington, and that Pennsylvania field ten years ago; or whether it’s what happened in Roman occupied territory in the middle east two thousand years ago; we need to continually rehearse these stories in our hearts and pass them on to our children. This is a day that is about remembering and like the upper room disciples, we can get so totally distracted. September 12th comes and everyone moves on to the next topic or news story. We must not let ourselves lose focus so easily. We must not forget. Only be careful, and watch yourselves closely so that you do not forget the things your eyes have seen or let them fade from your heart as long as you live. Teach them to your children and to their children after them. At first, this might seem to make prayer less necessary: God knows far better about what we need than we do. But as we get deeper into understanding what prayer really is, this truth will strengthen our faith. It will teach us that we do not need, as in other religions, a multitude of words or urgency, to try to compel an unwilling God to listen. It will lead us to a holy thoughtfulness and quietness in prayer as it begs the question: Does my Father really know that I need this? Oh, the blessed freedom and simplicity of a child that Christ our teacher would desire to cultivate in us, as we draw near to God; we should look up to the Father until His Spirit works that freedom and simplicity in us. We should, at times when we’re praying, when we’re in danger of being preoccupied with our fervent, urgent requests — so much that we forget that the Father knows and hears — we should hold still and just quietly say: My Father sees, My father hears, my father knows. It will help our faith to accept the answer and to say that we know that we have the requests we have asked of Him. So, as most churches do, our church celebrates communion or the Lord’s Supper together. We like to do this over an actual meal. This last part really got me. Do this in Remembrance of me. Do what? Break bread and drink wine? (Insert juice if wine offends you!) OK I get that. What are we supposed to remember? His death on the cross! You can’t remember something you haven’t experienced. I can read about WW2 but I didn’t experience it so I look at it with a detached view. I hear about my wife’s childhood and I love her so I am interested but I have no connection to the events as I did not experience it myself. The same is true with Jesus. You have either experienced the work He did on the cross for yourself or you haven’t. If you have, it is a real event and you have something to truly remember. As Gal. 2:20 says in a nutshell….you were there! 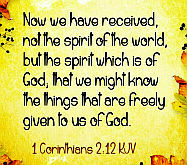 If you haven’t accepted His gift….then you can read about it, and remember what you read, but it won’t be real to you. Not until you experience it for yourself. Is Christ real for you?